The pp gives a nice texture, and the dry leaf is a surprise in all that green. 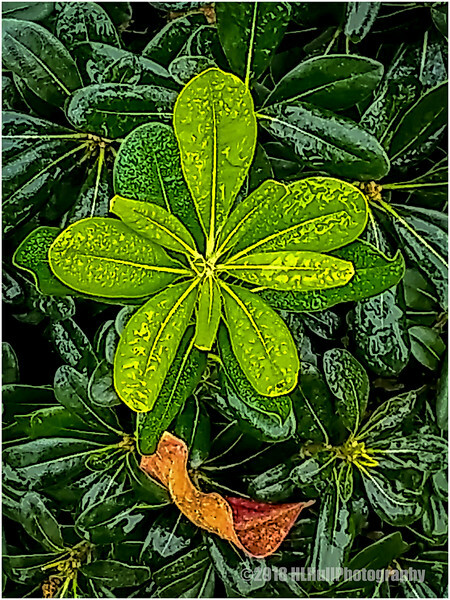 Nice PP on these wet leaves that are such a pretty green colors. Great shades of green, set of with the one older red leaf!